Some things I’ve made an effort with this week in regards to the slacking off I’ve been doing. First, I try to wash my containers and dishes DAILY. This is working out fantastically for me. Even when I work a double shift, I still have 5 minutes to quickly wash them out and set them in the dishwasher to dry. I love it. I don’t have stuff accumulating in my sink that is going rancid and smelling horrible and attracting gnats into my apartment. I am no longer feeling overwhelmed by my dishes. I have no clue why I didn’t start doing this ages ago, but I’m on the bandwagon now! Well, let’s tackle the recap of how my week has gone. 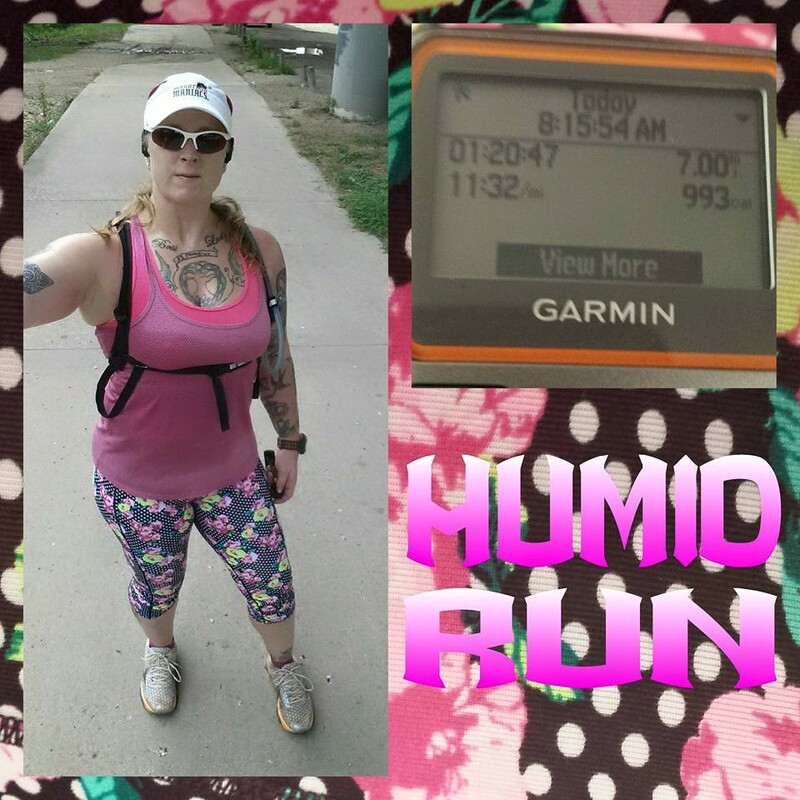 • Saturday: I was going to run 7 or 10 miles before meeting a friend for lunch at a BBQ joint. HOWEVER, that is not what happened. I’m sure you saw that one coming. I slept until it was literally time to get up, throw on a dress and head out the door to get to the restaurant on time. I figured that since there was a 30%-ish chance of rain around 5 and 6pm that I could go run at that time before I had to start getting ready for work (overtime on the night shift on my day off!). I had some errands to run and food prep to do before I could go out for a run. When the time came for when I had hoped to get out and run, I wasn’t done with food prep and a couple other household things I needed to do, so even though I actually really, really wanted to go for a run, I wasn’t able to. • Sunday: worked the night shift the previous night and then overtime on my own shift in the afternoon…no opportunity to exercise this day. • Monday: I am so ridiculously happy to report that setting 3 alarms on my cellphone to go off 3 minutes apart (and repeat even more often than that if snoozed) worked. I was out of bed at 7am and getting ready to make the drive to Ladybird Lake for my run. 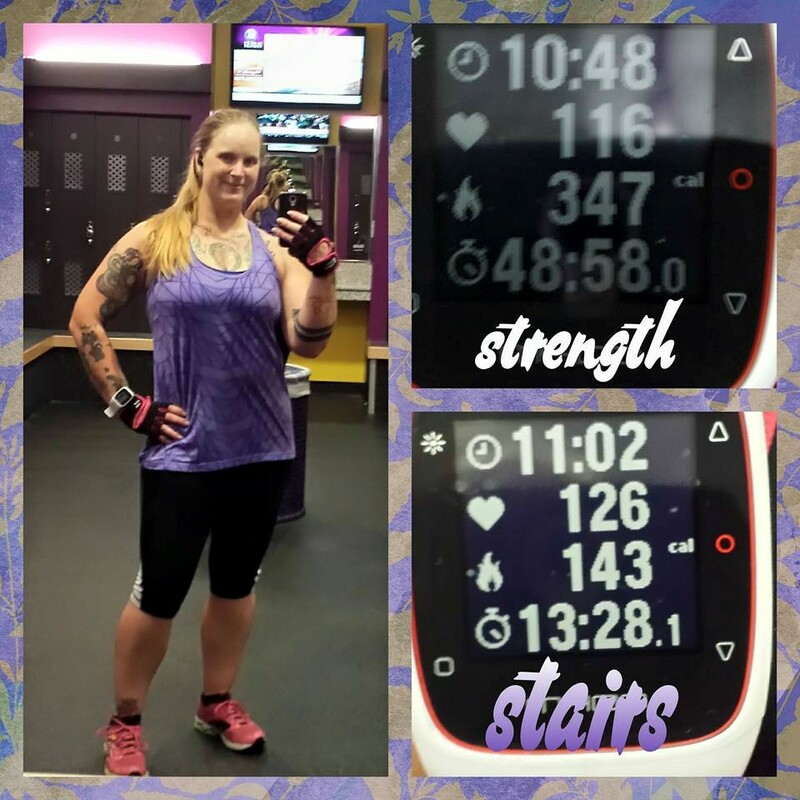 I was thinking maybe I’d do 10 miles, but I had some meal prep I still needed to do since I worked overtime on the night shift on Saturday and on my own shift on Sunday. So, there went my weekend, right? So, I settled on 7. Good thing, too, because it was just enough time to do my run, drive home, shower, do some work on my calf piece tattoo I’m working on, do meal prep, make my breakfast and get ready for work. I think I left about 7 minutes later than I like to. Success! The run was a good one. It was pretty humid, so another reason I was happy to settle on 7 miles instead of 10. That 7 miles in super humidity kicked my behind. • Tuesday: I was going to do the same thing this day as I did on Monday with the 3 sets of alarms set for around 6:45am. However, finishing up meal prep and some other things I needed to do after I got home from work Monday night took much longer than I was expecting them to and I didn’t get done until about 15 minutes after midnight. I looked at the time and was like, yea, a 6:45am wake up followed by 24 hours of being awake after only 6 hours of sleep is not happening. So, I reset the alarm for 8:45 and changed my plans to go to the gym. I got up, got dressed, went to the store really quick to pick up some medication and grab the stuff to make more of that southwest chopped salad for my lunches and then headed to the gym and got it done! • Wednesday: worked overtime the night before, no opportunity to exercise. • Thursday: worked overtime the night before, no opportunity to exercise. • Friday: nothing. Just not feeling it. I posted a blog Friday night about what is going on with me. I’m hoping things will start to look up over the next month or two. Hang in there with me, okay? Remember, this blog isn’t just about running and/or weight loss, but it’s also about my life in general.